The nature provided us with numerous natural ingredients that can help us not only stay healthy, but also stay young for a long period of time. If you want to have a face that is wrinkle free, spotless and a smooth and beautiful skin in just a few days, then you should definitely experience the miracle of natural remedies. Certain natural solutions will help you nurture your skin and it will also provide a relief from the skin issues and repair the damaged skin. First of all, you should take one egg and remove its yellow part. Next, separate the white part and keep it in a small bowl. After that, you should add ten drops of lemon juice in it, one tsp of rice flow and then mix all the ingredients well. Make sure that you prepare a thick paste without any lumps in it. Once prepared, you should apply it on your face with your fingertips. Leave it to act for 15 minutes. You will experience the pulling pressure on your skin. When the face pack gets completely dry, rinse it off with cold water. 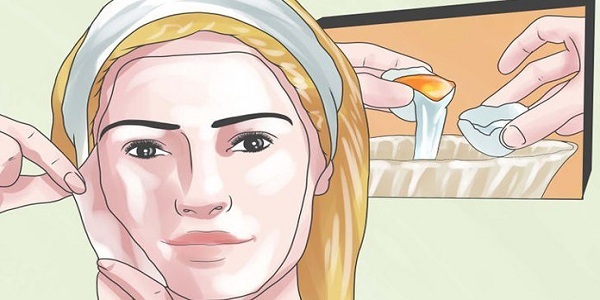 The reason why this natural facial treatment contains egg white is because it dries quickly and pulls your skin, which as a result helps to reduce the pore openings. When it comes to the rice flour, it is used to keep the mask firm, whereas lemon is very useful to remove suntan and dark spots on the skin. This mask made of natural ingredients will help women to reverse the aging process and provide that desired youthful look. As we already mentioned, it nourishes the skin and reduces the skin problems including dark spots, dark circles, acne, infection, etc. Moreover, this facial mask is able to remove the acne scars and improve the tone of your skin. Don’t hesitate and try it immediately, you wont regret it for sure.